ARP's Intake Manifold Bolts deliver umatched performance, safety and optimum sealing of gasket surfaces for any street or strip vehicle. 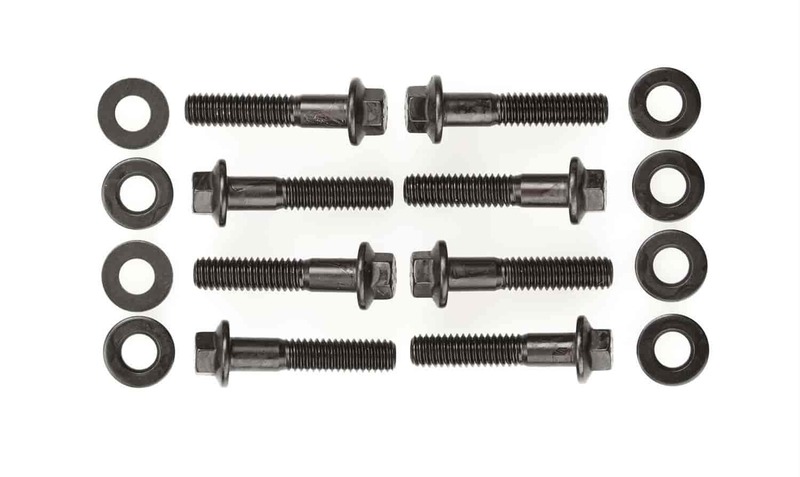 Rated at 180,000 psi tensile strength, these intake bolts are precision machined for optimum thread engagement. A wide underhead flange and companion washers provide even load distribution. Precision rolled threads prevent galling while promoting more consistent torque loading. Available in black oxide finish chrome moly or corrosion resistant stainless steel, as well as hex or 12-point heads. Does ARP 134-2002 fit your vehicle? 134-2002 is rated 4.5 out of 5 by 2.